Did you know Pumpkins did not grow in Brazil? I didn’t until I asked Gabriel. Needless to say, when I explained we would be carving pumpkins to use as decorations to celebrate an American Halloween, Gabriel had no frame of reference for this cultural experience. Our family hosted an International Pumpkin Fest last weekend. As a fun activity, I suggested all the exchange students bring a pumpkin to carve. I thought it would be a great American cultural experience for the exchange students to experience. My favorite moment of the evening was standing around our impromptu pumpkin carving station in our living room, helping Gabriel carve his first pumpkin. He ran into his bedroom two different times to change his shirt, after realizing the full scope of our project. Gabriel’s expression was priceless. There is no way to explain a US American’s love of pumpkin carving. It makes no sense, but, like Homecoming, it’s what we do each fall to celebrate. Sometimes, culture defies explanation, and you just have to live it, to believe it. As the party wrapped up, upon my direction, Gabriel carried his giant pumpkin outside to our front porch. “It’s not good”, he said. “No, it will look fabulous lit up. I promise, you’ll see”, I said. “Oh, I think it’s bad. I think it’s a bad pumpkin”. “No really, it’s great….trust me”. 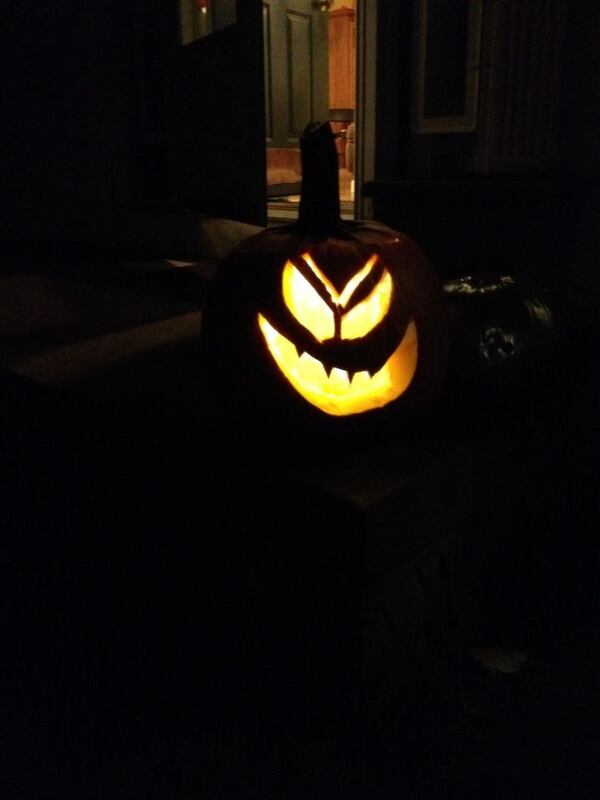 My husband took out his cell phone, placed it into the pumpkin, and ….magic! Pumpkin carving phenomenon explained. Sometimes you just have to live it to know it. Previous postThe International Pumpkin Fest!